Give thanks. Don’t forget what you are grateful for. No matter what you are going through, someone out there has it worse than you. 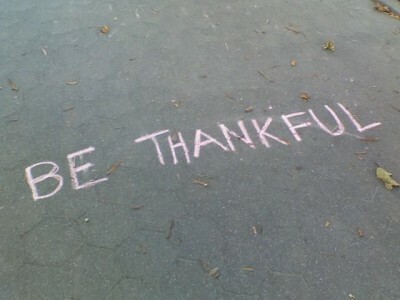 Be thankful for all that you have, whether its friends, family, or health. Each day, be grateful to have the opportunity to live and experience life. If you aren’t thankful, you’ll never be happy with what you get. When everything is going against you; stay strong and always be appreciative. Things will get better, the darkness will go away, and you will get through it. Often times, people don’t know what they have until its gone; don’t make that mistake. Posted on May 21, 2011, in Life and tagged appreciate, grateful, life, live, thankful, thanks. Bookmark the permalink. 2 Comments.